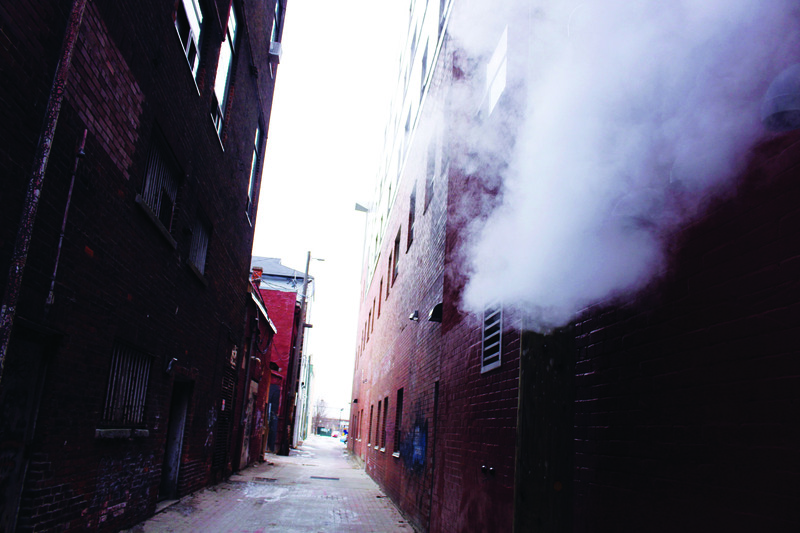 Admiral’s, on the corner of Dalhousie and Queen (Chandler Berardi/ The Sputnik). 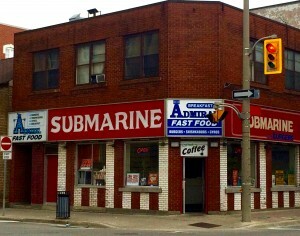 Admiral Submarine is located on the corner of Dalhousie and Queen. The twenty-seven year old business is extremely successful according to Hary Chatzis, employee since the restaurant opened. Chatzis also said that Admiral’s largest attraction is the poutine and burgers. “We serve good food and plenty of it,” said Chatzis. 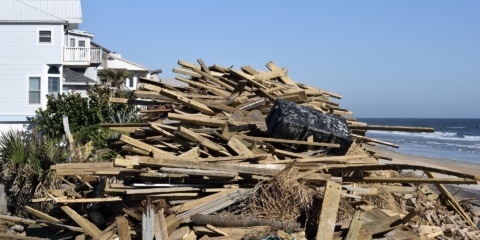 Unique to the restaurant is the “Junk Pile” special, a favourite amongst the employees. The special includes peameal bacon, ham, roast beef, turkey, a hamburger patty, cheese, and chicken fingers on two Kaisers. This meal is served with a side of fries for $17.65. Business hours are from 6 a.m. to 3 a.m.
Jaz 128 Tea Hut is located at 128 Dalhousie St. and run by Jasmine Lee and her husband. The café opened three and a half years ago and is known for their bubble milk teas. 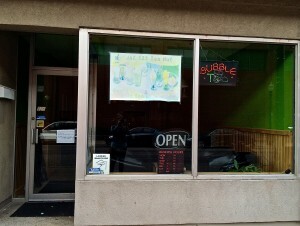 According to Lee, her business is unique to Brantford because it is the only café that serves bubble milk tea in the city. Based on sales, the Taro bubble milk tea with either popping boba or tapioca is the most popular drink. Lee recommends the original bubble milk tea with tapioca, a personal favourite. All of the ingredients used in Lee’s bubble milk teas are imported from Taiwan, where bubble milk tea originates. Lee expressed that Jaz 128 Tea Hut is a student friendly environment. “A lot of the time my regular customers will invite friends to come here and study,” said Lee. The café is equipped with free Wi-Fi and offers healthy herbal tea, smoothies and fruit teas. Business hours are 11:30 a.m. to 8 p.m. Monday to Thursday, 11 a.m. to 7 p.m. Friday, 12:30 p.m. to 5:30 p.m. Saturday and closed on Sundays. Rockling’s Tap & Grill, located in Harmony Square (Chandler Berardi/ The Sputnik). 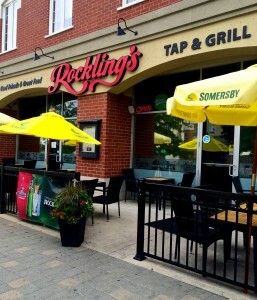 Rocklings is a restaurant and bar located in Harmony Square. Owner Viplanarayanan Rudrasingham credits much of his success to Laurier students since they opened two years ago. The restaurant offers 10 per cent off to all Laurier students, and 20 per cent off to students who are a part of an extramural team.  Rudrasingham believes his prices are made reasonable to fit student budgets and offers student specials. The Candidates, a band made up of Laurier students, often plays at Rocklings for special events. The restaurant also hosts many Laurier events such as Dirty Bingo. “Rocklings has its own style,” said Rudrasingham. Restaurant hours are 11 a.m. to 2 a.m. Monday to Sunday. Sophia’s Bakery & café is owned and operated by husband and wife Lucas and Laura Duguid. 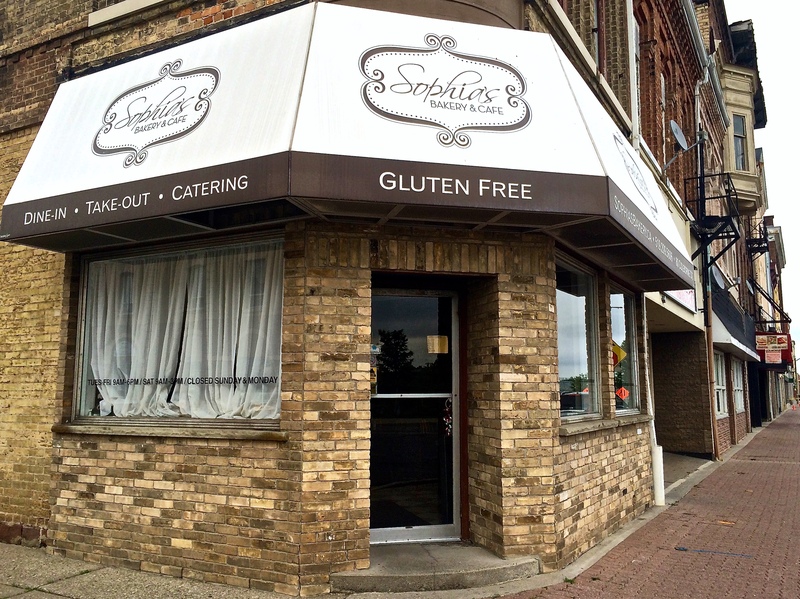 The bakery is located on 60 Colborne St. and everything made in the bakery is 100 per cent gluten free and freshly made every morning. The most popular food on the menu are the loaves of bread. The bakery sells up to five hundred loaves a week. Chocolate chip cookies are Laura’s (the chef) personal favourite. The café offers a special that includes a sandwich, salad and cupcake for ten dollars. The couple emphasized the fact that Laurier students are not only vital to the success of their business, but also to the positive development in the city of Brantford. “Having Laurier here has been incredible, I wouldn’t change anything,” said Lucas. Laura and Lucas are the parents of two celiac children and wanted to find gluten free bread that their kids would eat. Six years and 120 recipe logs later, Laura found the perfect combination of ingredients for her gluten free bread. The restaurant opened for business three years ago. 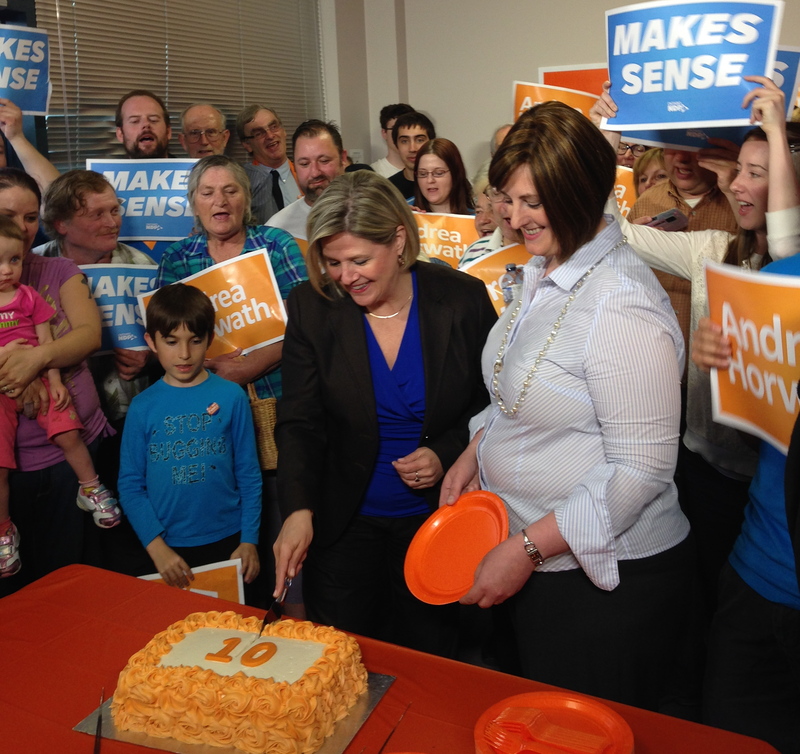 The couple has a large respect for the students of Laurier and what they bring to downtown Brantford. “There is a culture down here [downtown],” said Laura. Store hours are Monday to Saturday 8 a.m. to 2 p.m.
Lonnie’s, at 42 Market Street (Chandler Berardi/ The Sputnik). 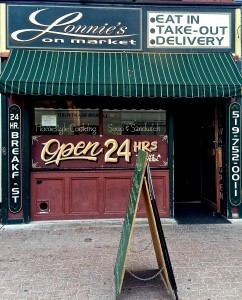 Lonnie’s, located on 42 Market St. next to Laurier’s Odeon building, is owned by Brian Xurieb. According to employee Arilyn Turalitsch, Lonnie’s is most popular for their poutine. 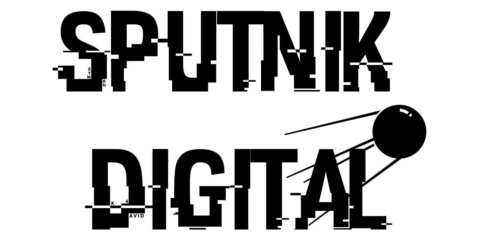 The restaurant offers twenty-eight different types of poutine. The most popular of these include the pulled pork poutine, Turalitsch’s favourite, and the maple bacon poutine. 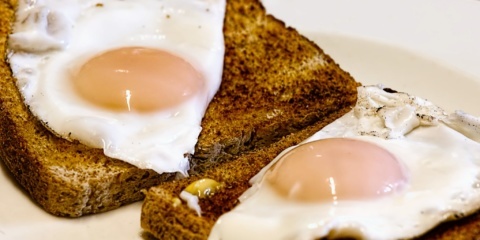 Also offered at Lonnie’s is their all day breakfast, another customer favourite. The business is unique because they are open 24 hours a day. The restaurant opened eight years ago and is popular amongst Laurier students. The Pantry Cafe, at 86 Dalhousie Street (Chandler Berardi/ The Sputnik). 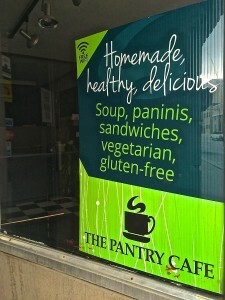 The Pantry Café is located on 122 Dalhousie St. The café is popular for their soups and sandwiches, which are made from scratch according to Kathy Finucan manager of the restaurant. Laurier students get 10 per cent off all food and drinks. With the student discount, all day breakfast is available for five dollars. Their business hours are from 8 a.m. to 2 p.m. Monday to Friday. “It is a real friendly homey kind of place,” said Finucan. The manager also mentioned that the business would be installing fryers in order to add poutine to the menu. Burrito Brothers, located at 38 Dalhousie Street (Chandler Berardi/ The Sputnik). 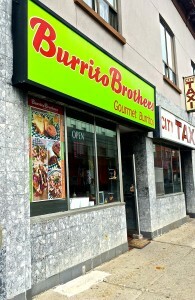 Burrito Brothers is located on 38 Dalhousie St. across from Laurier’s Expositor building. According to Minh Quach, brother to the owner of the business, Burrito Brothers was the first burrito restaurant in Brantford. Burrito Brothers won the award for best takeout in Brantford two years in a row. The most popular type of burrito is the chicken burrito, and Quach’s personal favourite are the fish tacos. “Once they try it they always get it,” said Quach about the fish tacos. All beverages and most of the produce used at the store are imported from Mexico. Restaurant hours are 11 a.m. to 9 p.m. Monday to Saturday.